As the old saying goes, nothing ever stays the same. The world of travel is no exception with new hotels and resorts being developed, new cruise ships being built and newly emerging destinations become the "it" place to travel to. We eat, breathe and sleep travel, staying on top of the latest and greatest. Here, we recommend to you some of our finest and most trusted travel companies. ​these companies have the best guides, the best itineraries, and the best value. 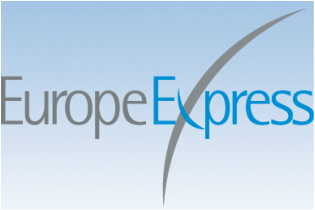 Established in 1990, Europe Express specializes in providing high-quality, affordable travel to Europe. We create customized itineraries at competitive prices for all of your needs including air, hotel/villa, rail and car rental, sightseeing and pre/post cruise packages. 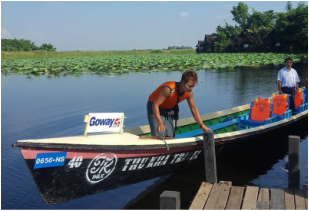 Goway Travel, operating since 1970, has been providing unforgettable travel experiences for travellers from all walks of life. We are North America's leading travel provider to Australia & the South Pacific, Asia, Africa & the Middle East, Latin America & Antarctica, the world’s most Idyllic Islands and UK-Europe. Cruising has always been a fantastic way to see several destinations in a single trip. 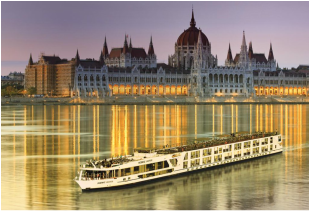 River Cruising takes that to a whole new level, traveling deep into Europe's most stunning locations. Here's our top picks for River Cruising. From your transfers and tips; your exclusive Enrich, Freechoice and Tailormade excursions; to your luxuriously appointed suites and amenities (complete with thoughtful, exclusive touches), you won’t have to worry about money at all. We’ve thought of everything, from your very own personal butler, to including bottled water service onboard. Uniworld puts a unique spin on river cruising, with floating boutique hotels that are meticulously designed with the signature touches for which our company is known. Each and every ship in our European fleet is rich in character and truly one-of-a-kind, with its own distinctive theme and colour palette, original art and sumptuous furnishings and antiques. Uniworld’s iconic ships exemplify true artistry, the very essence of our boutique philosophy. In partnership with the design visionaries at our award-winning sister company—the Red Carnation Hotel Collection—our ships have a stylish flair inspired by the rivers upon which they cruise, a blend of old-world elegance, the latest technological innovations, and ultra-luxurious amenities.